Note: This review was first published on 7th October 2017. 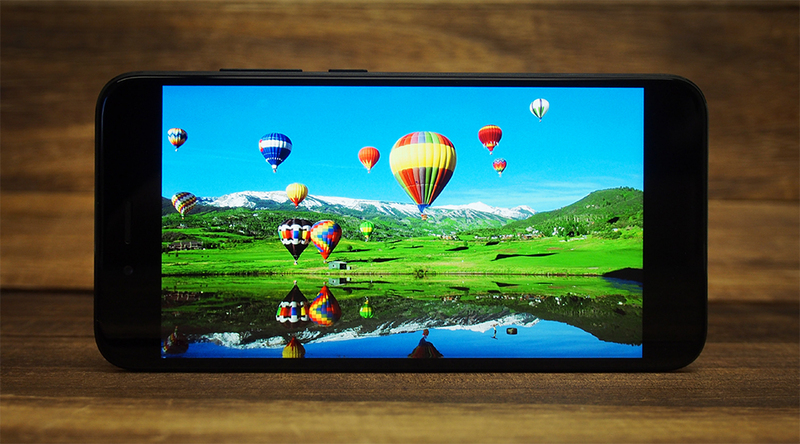 When anyone talks about great value smartphones one name always tends to pop up: Xiaomi. And for good reason, for the past few years the Chinese brand has released phone after phone offering high-end design, features and specs at a fraction of the cost of other brands. The latest Xiaomi smartphone is the Mi A1. 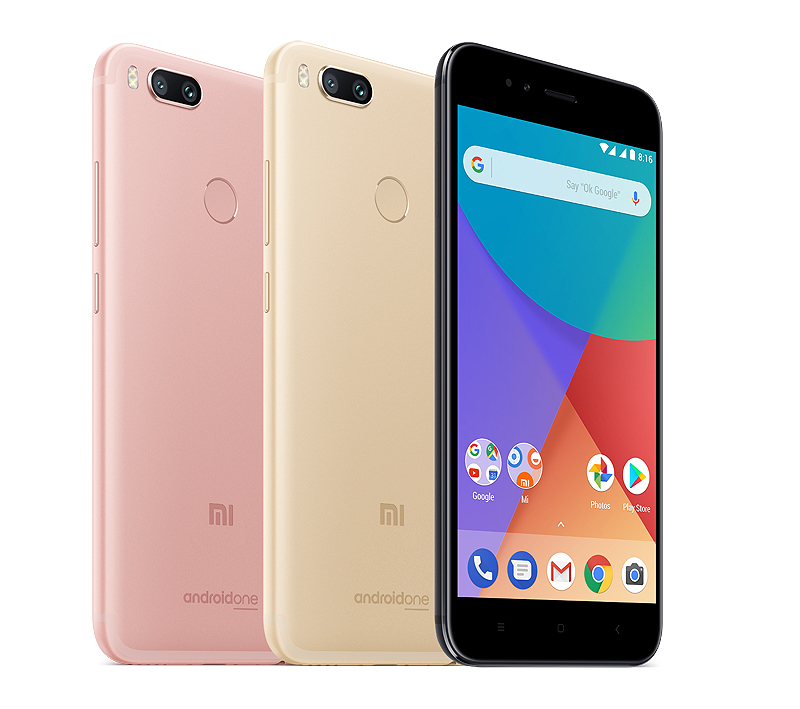 The Mi A1 is essentially a rebranded Mi 5X, which is only available in China and was released earlier this year, but with the added perk of running on pure Android OS. For people who dislike Xiaomi's iOS-like Mi UI interface, this could be the phone you've been waiting for. The Mi A1 offers a full aluminum build, Full HD display, a dual rear camera setup and a Qualcomm Snapdragon 625 processor with 4GB RAM, all at a ridiculously low price of S$349. The Mi A1 is a sleek looking all-metal phone that looks a lot more premium than its price tag would suggest. If you're familiar with Xiaomi's other phones, it looks exactly like a smaller version of Xiaomi's Mi Max 2. Compared to Xiaomi's other entry-level smartphone, the Redmi Note 4, the Mi A1 is more refined, with cleaner lines and a more modern-looking aesthetic. On the rear of the phone there's a dual camera setup, with a similar configuration to the one we saw on the Xiaomi Mi 6 - one wide angle lens and one telephoto lens. However, as the A1 is a lot cheaper than the Mi 6, Xiaomi is using lower-end imaging sensors in the A1. 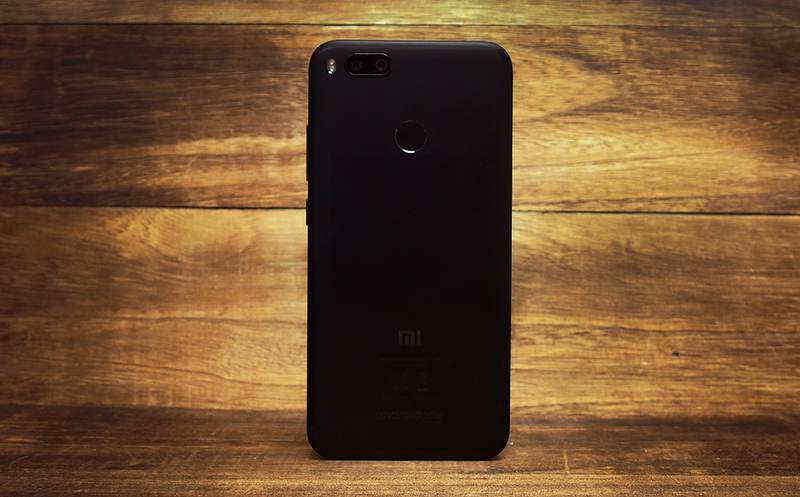 The positioning of the dual camera in the top left corner, coupled with the design of the antenna bands and the rounded aluminum frame running along the edge of the phone, means that the Mi A1 has more than a passing resemblance to the OnePlus 5, Oppo R11 and Apple iPhone 7 Plus. 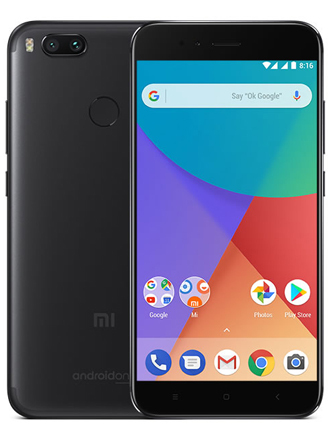 However a rear-mounted fingerprint sensor, along with large Mi and Android One logos on the rear of the phone, help differentiate it from the pack of lookalikes. The phone is fairly svelte at just 7.3mm thick, the same as the OnePlus 5, and much thinner than the Redmi Note 4. At 165g it's exactly the same weight as the Redmi Note 4 and about 13g heavier than the OnePlus 5, but the extra weight wasn't really noticeable. Beneath the display you'll find three backlit capacitive keys. 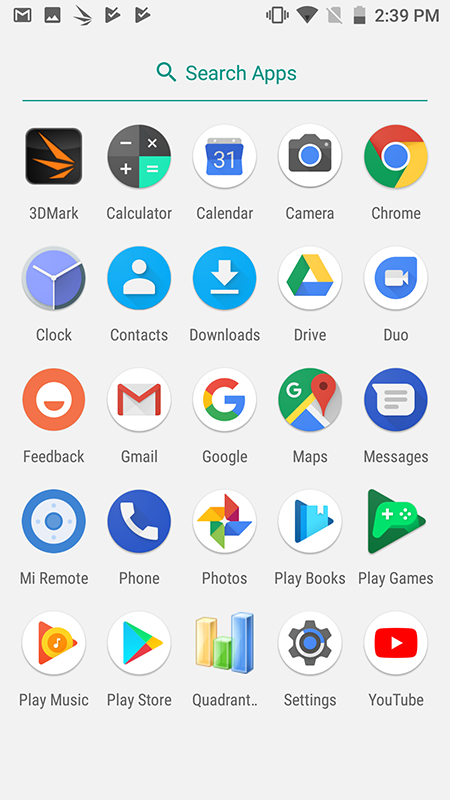 The keys can't be customized and, annoyingly, despite running on pure Android, Xiaomi has opted to go for the 'Samsung' configuration, which puts the back button on the right and the menu button on the left, which is the opposite of the standard Android layout. 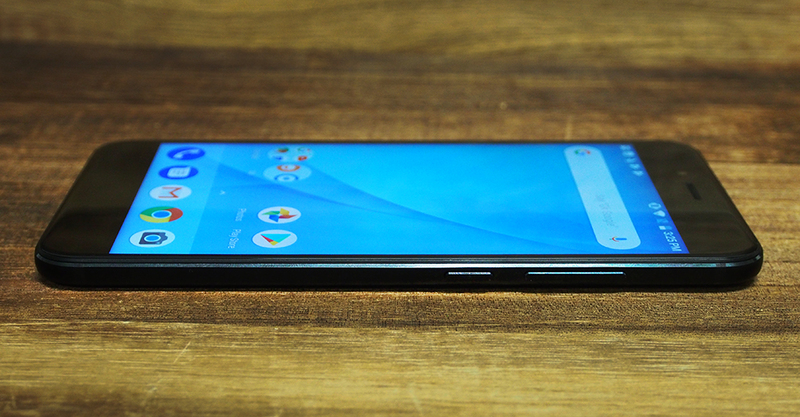 The back of the phone has tapered edges on all sides while the front has chamfered edges. I'm not particularly keen on this mis-match of design styles but it's a minor quibble. 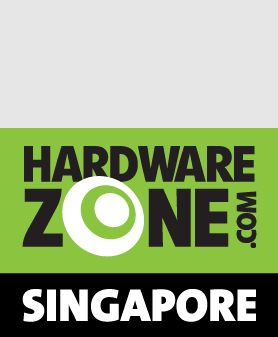 Both the power button and volume rocker can be found on the right-side of the phone while the dual Nano-SIM card slot can be found on the left. The second SIM slot doubles up as a microSD card slot that accepts cards up to 128GB in capacity. On the bottom of the phone there's a USB 2.0 Type-C port, a single speaker and a 3.5mm headphone jack. Once again the design down here looks very similar to the OnePlus 5, Oppo R11 and iPhone 7 Plus. On the top of the phone there's an IR blaster, which is a feature that's becoming quite rare these days. 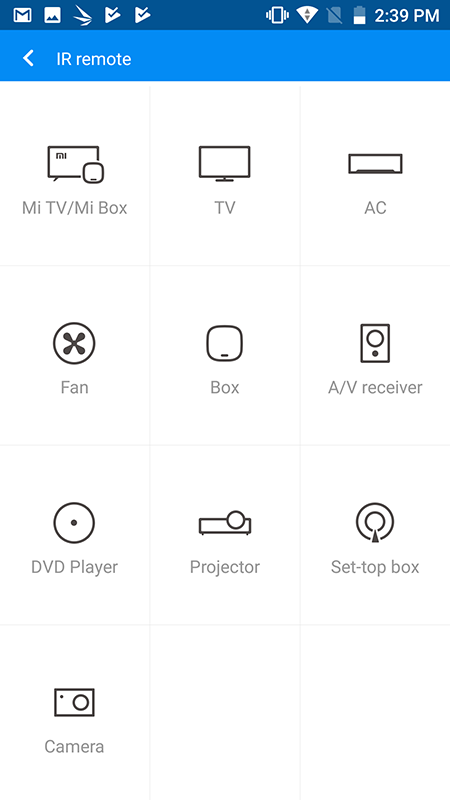 You can use the IR blaster in conjunction with Xiaomi's pre-installed Mi Remote app to control your TV, air con, Mi Box or pretty much anything else with an IR receiver. The Mi A1 is available locally in two colors: Black and Gold. There's also a Rose Gold color, but it's only available overseas. The Mi A1 has a 5.5-inch 1,920 x 1,080 pixels resolution IPS LCD display (~401ppi). Brightness is pretty good at 450 nits at maximum on the Auto setting, and 550 nits at maximum in Standard setting. Contrast is also quite good for an LCD display, with surprisingly deep blacks. Color reproduction is fairly muted, although I did notice that the screen tends to favor blues, which look more vibrant than other colors. 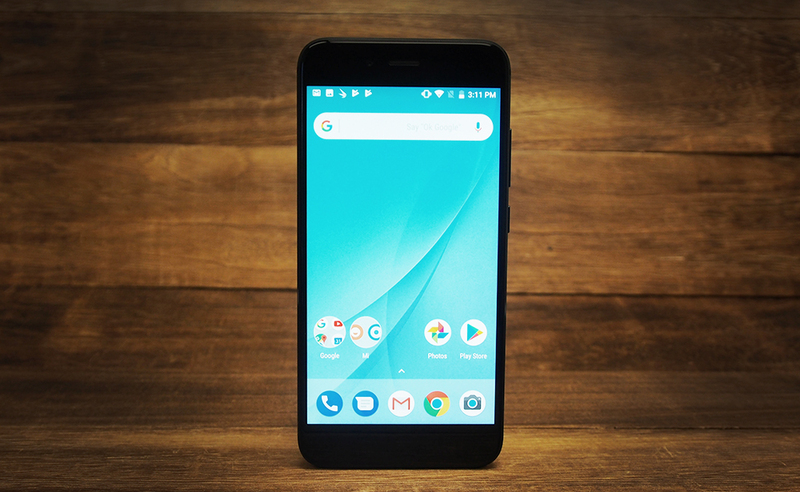 Despite its low price the Mi A1 comes with some notable audio features, including a dedicated headphone amplifier that can drive high-impedance headphones of up to 600 ohms. The phone's single speaker is also quite impressive, featuring a dedicated 10V smart power amplifier paired with a Dirac HD Sound algorithm for higher sound quality. I won't say the sound quality from the Mi A1 was the best I've heard, and it still pales in comparison to front-facing stereo speakers like those found on the HTC U11 and iPhone 8, but it was excellent for a mono speaker setup. There's plenty of volume and the bass is surprisingly deep too. 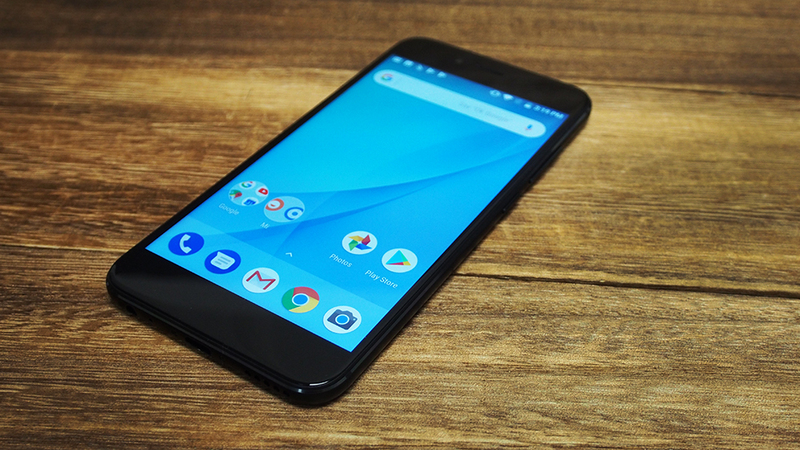 The big selling point of the Mi A1 is that it runs on stock Android. At launch the phone will be shipped with Android 7.1.2 Nougat, but you'll be able to update it to Android 8.0 Oreo as soon as it is available. Xiaomi also tells us that the Mi A1 will be one of the first phones to get Android 9.0 P.
As for the software experience itself, it's basically exactly what you get on a Pixel or Nexus smartphone. 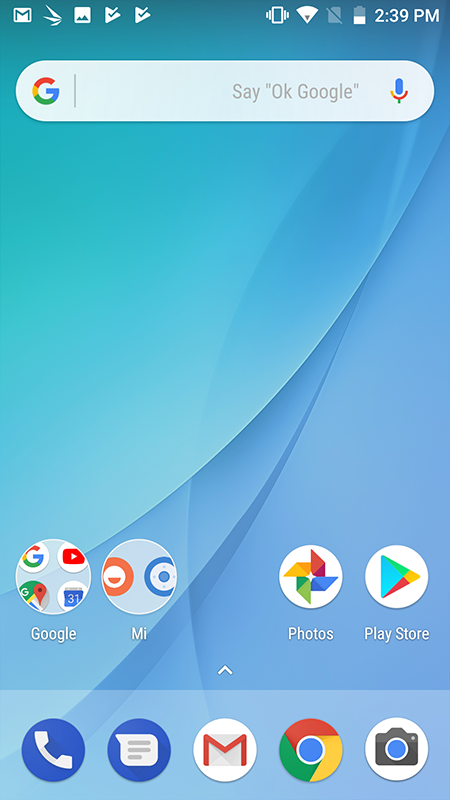 All interface elements are unchanged from stock Android: you swipe up on the display to access the app drawer work, and you can find Google Now to the left of the home screen. 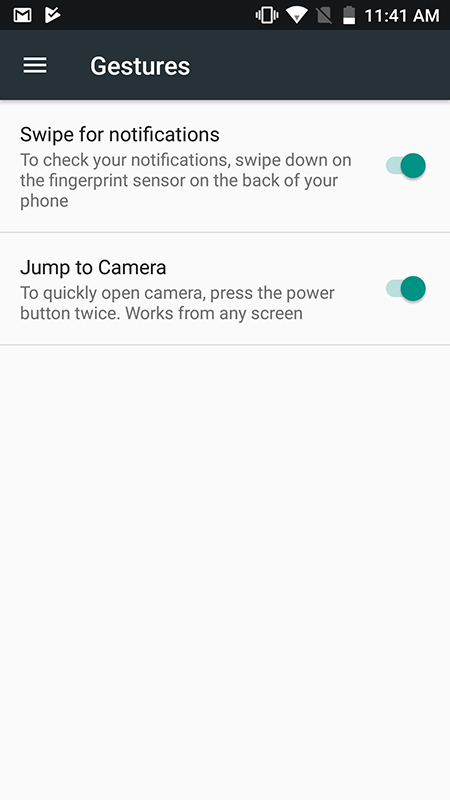 You can even pull down the notification shade by swiping down on the fingerprint sensor, and double press the power button to launch the camera app, just like you can with a Pixel smartphone. 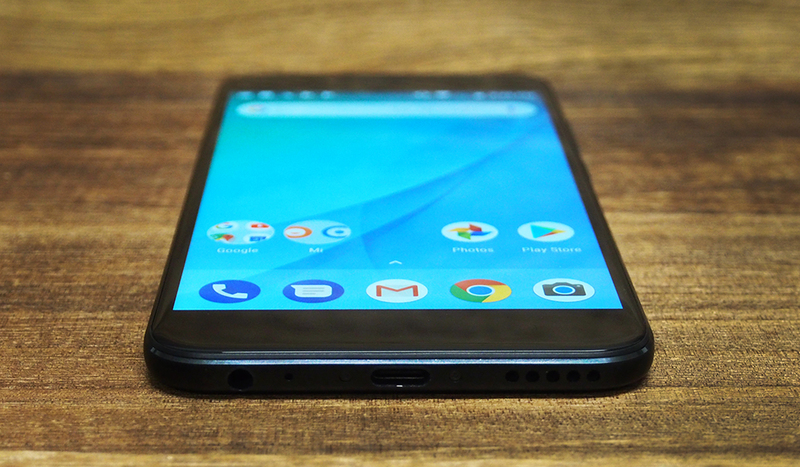 You also get all of the standard Android 7.1.2 features like split-screen multitasking, in-line notification replies, app shortcuts, granular controls for Do Not Disturb, and more. The only Xiaomi apps included on the phone are the above mentioned Mi Remote app, which lets you use the IR blaster on the top of the phone to control things, and a Mi feedback app. By necessity, the default camera app is also different, and is essentially the same as Xiaomi's Mi UI camera app, which is needed to support the dual rear camera setup. One big feature missing from the phone is NFC. That means the Mi A1 isn't compatible with Android Pay or any other cashless payment app.